CooksRecipes has quality, kitchen-tested recipes for a variety of fruit, cereal and nut snacks and trail mixes that are perfect for snacking after school, on the trail, movie-time or anytime. 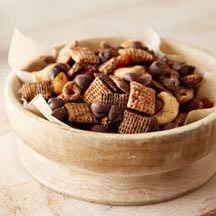 Your family and guests will enjoy this easy and tasty chocolate and fruit snack mix. 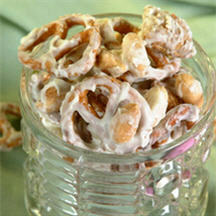 Don't wait for the next party or football game to enjoy a handful of this party mix. 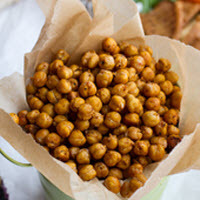 These roasted chickpeas are a snack that can be enjoyed by all as substitute for nuts or crackers.